1. This team has heart. Yeah, I know everybody says that about their team. But last night they found themselves in a situation where only two miracles would prevent them from losing the game. 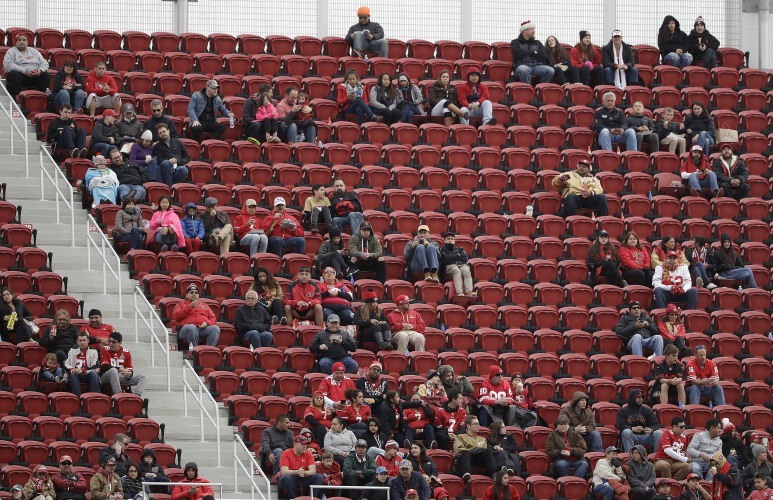 They were late in the 4th quarter. A North Carolina touchdown – given the way Virginia Tech’s defense had played all evening – was a virtual certainty. That TD would have given UNC a two-score lead, and there wasn’t enough time for the Hokies to counter. The only thing that would grasp defeat from the jaws of victory for the Tar Heels would be either an interception – and there was no way UNC was going to throw the ball so close to the goal line – or a Virginia Tech defensive player came up with a hard hit or a strip of the ball that resulted in a fumble. Realistically speaking, the odds of that happening were right up there with a super model giving me a call during a timeout and asking what I’m doing after the game. But it happened (no, not the thing with the super model). Safety Tyree Rodgers put his helmet into the midsection of UNC running back Michael Carter – who had run through the Virginia Tech defense all night with the same ease most of us would walk through a shopping mall – and the ball popped up in the air. Cornerback Jovonn Quillen grabbed it, dropped it, grabbed it again, then fell down on the two yard line. Half the miracle was done, but now the other half – having this offense go 98 yards – had to happen. Coaches tell you in practice all the time that you can do things like this, but they rarely happen. 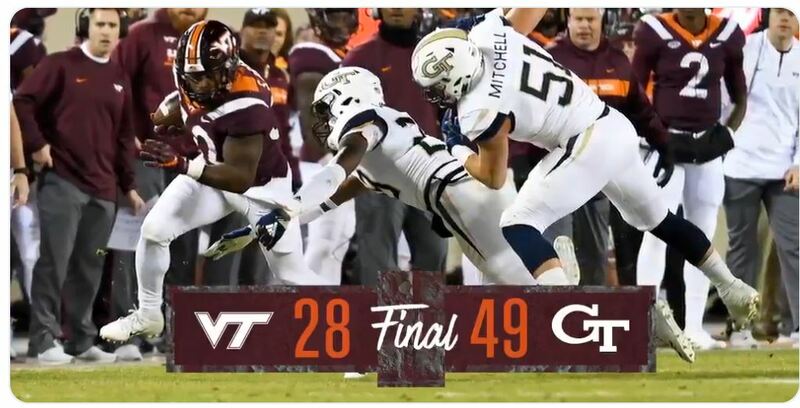 The Hokies DID drive the length of the field, they DID score the winning touchdown, and they DID add a two-pointer to make sure a field goal didn’t beat them in the final minute. Such is the stuff legends are made of, and is also the stuff confidence, belief and heart are made of. There were probably players on the field who hoped they could do something like this, but didn’t really know if they could. Now they know. Which could be a huge asset down the road this season. Today it was announced that a monument celebrating Frank Beamer will be unveiled at Moody Plaza, located on the Southwest corner of the Lane Stadium footprint adjacent to Beamer Way. It will happen about 3 hours and 15 minutes before kickoff of Saturday's game between Notre Dame and Virginia Tech. 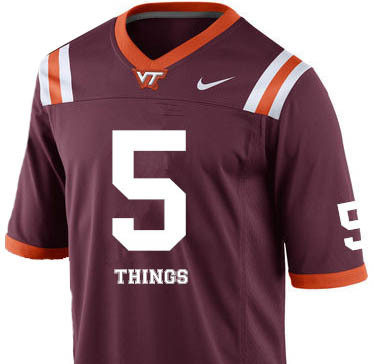 My first thought was "I wonder if younger Hokies realize just how bad things were when Frank took over the program?" They probably know him as a former coach, I thought, or even a nice old man they see on television from a long time ago. But maybe not the guy who totally transformed this program into what it is today. To truly appreciate what Frank Beamer has done for Virginia Tech, allow me to share some of my earliest memories of being a Hokie. The year was 1973, my senior year of high school. The check was in the mail to the admissions office, and I was going to be spending the next 4 years in Blacksburg. I picked up the Sunday Virginian Pilot in Norfolk (my hometown) and there was a story on Virginia Tech losing to Alabama in Tuscaloosa. By a score of 77-6. That’s no typo. 77-6. 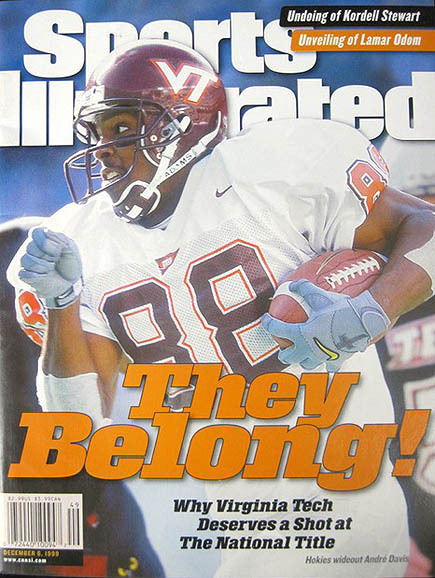 Laughingstock wasn’t a strong enough word for how the Hokie football program looked back then. My four years at Virginia Tech would be the four years of Jimmy Sharpe. 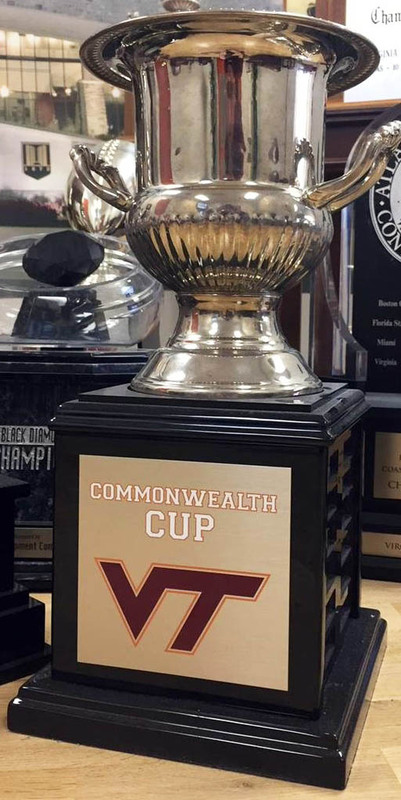 The wishbone worked in the second year, as the Hokies won 8 games, but didn’t get a bowl bid. Things then fell apart as the team would go 6-5 and then 3-7-1. Sharpe would be fired. A football player would die in the dorms the day after a game in 1977, and Virginia Tech was in the national news for all the wrong reasons. Meanwhile, teams in the Atlantic Coast Conference were the envy of all of us. Why not Virginia Tech? many of us thought, but the perception was simply we were not good enough. In 1977, an expansion committee actually sent a group to Blacksburg to examine the possibility, but they stayed all of about 45 minutes. Their minds were made up before they ever got there. The Hokies were small potatoes. Last night’s Virginia Tech win over Duke – and the fact it isn’t raining for the first time on a weekend in what seems like 5 years – has certainly made for a much nicer and peaceful Sunday morning. 1. When properly disciplined and focused, this team can do just about anything. This has been the case for Virginia Tech since the beginning of time. If you look at the three bad losses they’ve had since 1998 that made headlines last week, they always bounced back and had great games in the next one. After the Temple debacle in 1998, they beat UAB 41-0. After losing to JMU in 2010, they beat ECU 49-27. You could argue neither UAB or ECU were any good (UAB finished 4-7 and ECU finished 6-7 those years) but Duke was ranked and the game was on the road. Hearing all week they were a bunch of over-rated lightweights who lost to a winless ODU program undoubtedly helped with that focus, so in that regard, it was a blessing in disguise. 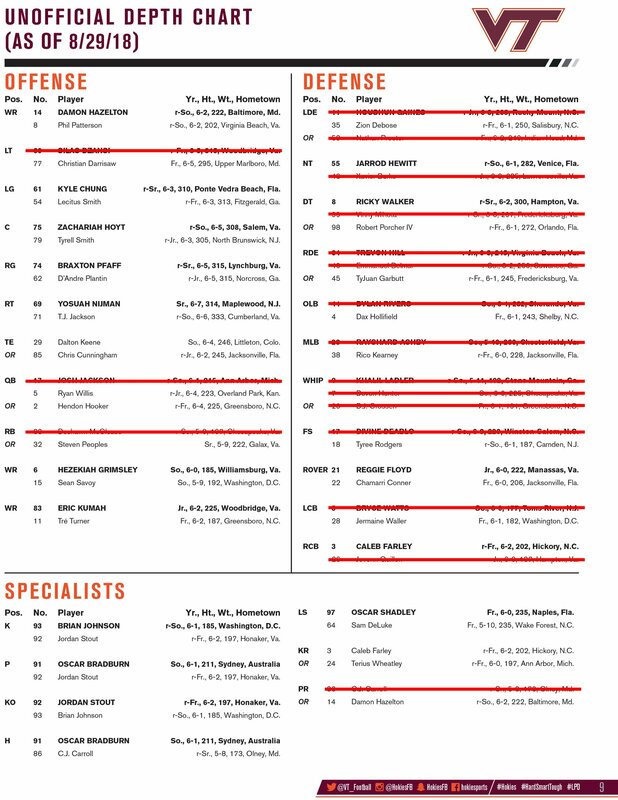 I always thought Virginia Tech would be 4-1 after the first 5 games, with the loss being to Notre Dame. My reasoning was the team doesn’t do well when it thinks it is really good (and this goes back way beyond the Fuente era) and if they went into that game 4-0, they would probably have a top 10 ranking they didn’t deserve, think they were world beaters and maybe lose because of that. ODU stripped the team of that possibility, and if they play against Notre Dame like they did against Duke, they have a chance to still be 4-1. It is a dreary morning. Raining outside. Cool. Dark. Depressing. And, oh yeah, Virginia Tech lost yesterday to ODU. The same ODU that was 0-3 and lost to national powerhouse Liberty by 42 a few weeks ago. Life dictates you try to look at the bright side, put some lipstick on that pig, and put it all behind you. It gets easier over time, because the Hokies have a tendency to do things like this ever so often. An upperclassman in our dorm my freshman year at Virginia Tech jokingly told us “just remember, in the end, the Hokies will always break your heart,” and over the years I’ve determined he wasn’t joking: A brutal loss to Temple in 1998; an equally stunning defeat at the hands of James Madison in 2010; smaller, lesser ones that ended up stinging just as much in between. This one didn’t hurt as much, I’ll admit, because of what it meant to ODU. Norfolk is my hometown, and this win was probably every bit as exciting to Monarch faithful as when the Hokies went to the Horseshoe and beat Ohio State. I even watched that upset in an ODU bar in 2014 (40th high school reunion) and some even said how cool it would be if ODU ever got to experience a win that big.